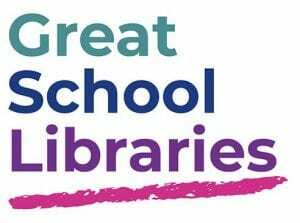 #GreatSchoolLibraries Campaign is officially launched! I hope that most of you noticed that this wonderful Campaign was launched yesterday, 20th September 2018. I was certainly busy on Twitter with it! Most of you know that with my other hat on I am Chair of CILIP’s School Libraries Group, and in this capacity I am on the team that launched this initiative. Working in partnership with Alison Tarrant of the School Library Association and with other partners, we have started a three year campaign with the objective of raising the profile of school libraries with the government, Ofsted and educational professionals everywhere. Our aim is to get them to realise the value that a school library brings. and therefore to properly fund them where they exist, and put them back in schools where they have been taken out. To this end, we would value your help! We have a data collecting team who is compiling a lot of information to prove the value that we bring. If you could help us by sending us a case study (or two!) on how you have made a difference to teaching and learning. I am attaching a template here, and an exemplar case study for you to look at. If you need any further help with this, please contact me on this page and I will put you in touch with someone on the team who can help. On the website you will also find two wonderful posters to put up in your library, and an exercise for your students to do as well, celebrating your library and what it means to them. You can send pictures of these to us – send them to me and I will put them on the page. Let’s celebrate our #GreatSchoolLibraries! Please tweet about your successes using that hashtag, and let’s make this three year Campaign make a difference!